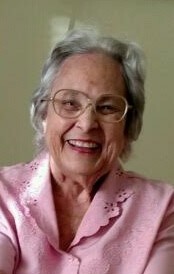 Millie King Gandy, age 93, entered into rest on Monday, August 27, 2018, at McLeod Hospice House in Florence SC. Funeral services will be held at St Paul United Methodist Church, 305 W. Main Street, Chesterfield SC, at 11:00 am on Thursday, August 30, 2018 by Pastor Alisha Hansen. Interment will follow in Chesterfield Cemetery, Hwy 9 By Pass, Chesterfield SC. The family will receive friends from 5:00-7:00pm on Wednesday, August 29, 2018 at Miller-Rivers-Caulder Funeral Home, Chesterfield SC. Mrs Gandy was born in Chesterfield on May 4, 1925, to Clarence and Ethel King. She was a graduate of Chesterfield High School and received a master’s degree in education. Mrs Gandy was a seamstress in industrial garment factories in Chesterfield and Cheraw for much of her adult life, until serving the last years of her working life on the faculty of Chesterfield-Marlboro Technical Education Center, where she taught garment factory machine operation skills. Mrs Gandy was a member of St Paul Methodist Church in Chesterfield where she frequently attended and hosted meetings of Women’s Circles of the Church. She was preceded in death by her husband, Sam Evans Gandy, Jr., by her brothers, James Clarence, Jr., Hubert, Woodrow, Jack, Eddie, Elbert and Arthur, and by her sisters Mary Belle and Dorothy. Miller-Rivers-Caulder Funeral Home (www.mrcfuneralhome.com) of Chesterfield, SC is serving the Gandy family.